Anna Cortez is fresh out of college and naive to the harsh realities of the real world. Tired of living under the thumb of her conservative family, she defies them when she accepts a job as the assistant to wrestling’s most notorious bad-boy. 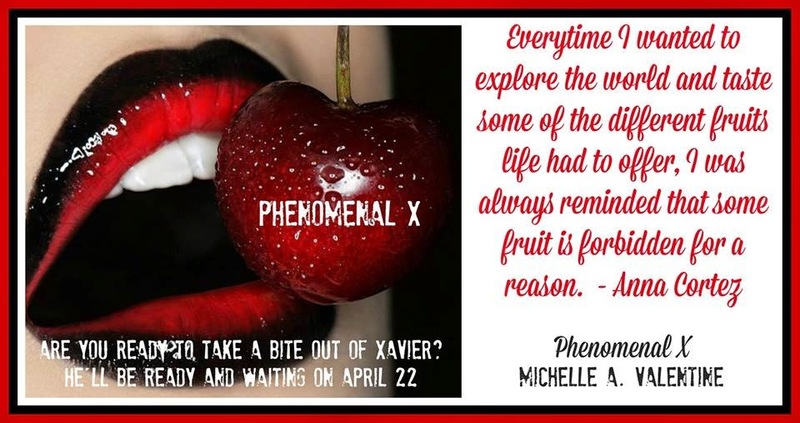 Phenomenal X has an animalistic nature that even good girl Anna finds hard to resist. One night forced to share a bed in a sold-out hotel, lines blur between them and they quickly learn that one lustful night changes everything and neither one of them will ever be the same. I know we’ve had problems, and our relationship is nowhere near perfect, but right now I don’t care about any of that. Every inch of me craves him. I want him to know that me matters to me—that I’m not going anywhere.